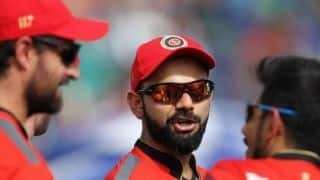 James Anderson could be fined after his show of dissent towards the on-field Kumar Dharmasena for not giving India captain Virat Kohli out lbw on Day 2. 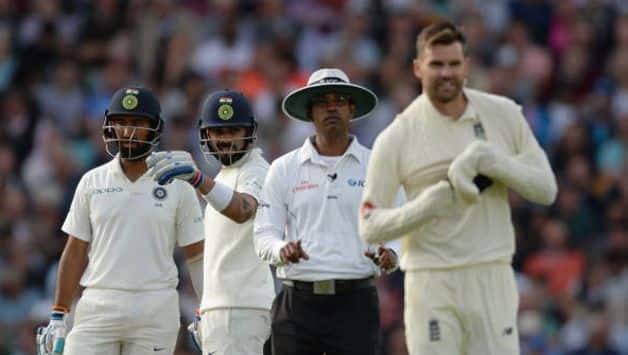 James Anderson could be fined after his show of dissent towards the on-field Kumar Dharmasena for not giving India captain Virat Kohli out lbw on Day 2 of the fifth and final Test at The Oval. Kohli, batting on 16, was pinned in front by Anderson but the umpire turned down his appeal. England took the review but the decision remained with umpire’s call [on impact]. He could be fined 15% match fee for his antics and is currently awaiting a final decision. 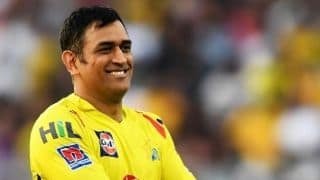 Anderson, 36, though, was rewarded for his masterclass as he dismissed Cheteshwar Pujara (37) and Ajinkya Rahane (0) in his consecutive overs and finished the day with figures of 11-3-20-2. 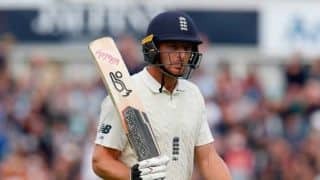 Jos Buttler, who top-scored in England’s first innings with 89, is enjoying every bit of Kohli vs Anderson, calling them ‘immensely competitive’.